Run in association with The Square Metre Ltd and Crowd Safety Training, the two day conference will see renowned experts discuss everything from the ever changing landscape of counter-terrorism at events, training developments for crowd safety, the evolution of the crowd safety industry, managing staff and stress in critical incidents, the guest experience update, defence strategies against litigation claims and much more. The industry has seen a move away from event organisers only utilising purpose built venues such as stadia or arenas, now events are held on the public roads, greenfield sites and other complex environments such as shopping centres or public spaces such as town centres. The introduction of legislation also means event organisers and their staff have a number of liabilities as well as a duty of care to their customers. Having enough staff to make an event safe both under the normal conditions and an emergency conditions is important , but how can you ensure that the security staff working at an event will be an effective resource in the event of an emergency? 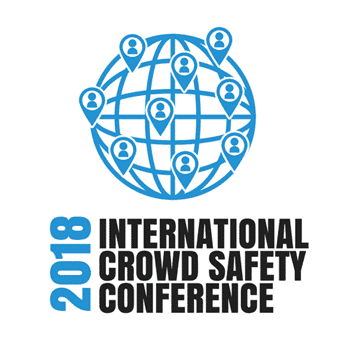 Crowd Safety Training is a trading style of The Square Metre Ltd, formed in 2014 to address a skills shortage in the Crowd Safety industry and has now developed into a skills training provider across the world with offices in the United Kingdom and Australia. The Square Metre is an industry leader in Apprenticeship training for the security and crowd safety industries. Visit www.crowdsafetytraining.com​ for more information on our range of crowd safety courses! International Security Expo is the premier showcase for Homeland and Commercial security attracting a global audience of government, transport & borders, law enforcement, military, emergency services, CNI, cyber security, facilities managers and the public and private sectors. Through a series of conferences, workshops and interactive features, the event tackles some of the most challenging threats to our citizens, borders and infrastructure. www.internationalsecurityexpo.com for more information, or to keep up to date with the Crowd Safety Conference follow us on Facebook https://www.facebook.com/IntCrowdCon.